European Companies react Relieved to avert a Trade War. 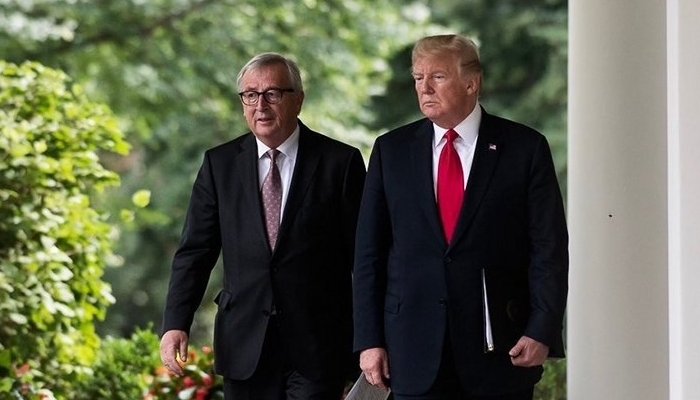 European industry reacts positively to the agreements made by US President Donald Trump and European Commission President Jean-Claude Juncker in Washington. Both superpowers will discuss the lowering of trade tariffs and have promised not to come up with new levies during that period. A trade war is therefore momentarily off the hook. “The reason has triumphed”, says chairman Pierre Gattaz of the umbrella organisation BusinessEurope. The betterment of the world trade organisation WTO, to which both parties committed themselves, is also well received. “Crucial”, according to BusinessEurope director Markus Beyrer. Minister Sigrid Kaag (Foreign Trade) is also satisfied that the parties are prepared to talk about a solution for their trade disputes again.